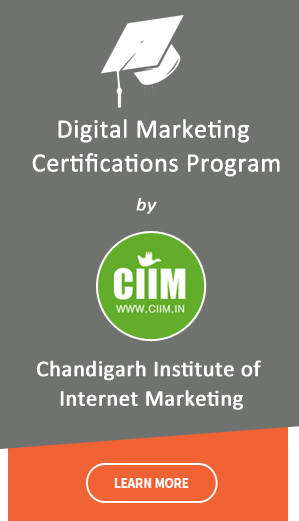 Facebook Marketing Training in Chandigarh – If we talk about Facebook then it is the best and most popular social site which is used by almost population all over the world In the present time Facebook Marketing is in the top position which helps to develop your business and Problab Technologies is the only destination for the Best Facebook Marketing Training in Chandigarh, Mohali & Panchkula as well as all over the India. Problab Technologies has great specialization in Digital marketing Courses & works on 100% practical training model. You can join us for Demo classes & take real industry training with company’s certification of Facebook marketing course/training. Why Do Businesses Need Facebook? Do you know where your customers and potential customers are? Most of them are on Facebook. If you’re not, your business is missing out. There are a lot of different reasons that businesses need Facebook on their side when it comes to marketing and reaching out to their audience, but the bottom line is that there are more than 3 million users around the world that spend at least a few minutes every day on Facebook. That kind of exposure doesn’t come easy, or free, unless your business has a Facebook page. Here are some other things to keep in mind when you’re considering whether your business needs Facebook. Why Facebook Marketer become a Good Career Option? Why do businesses turn to Facebook when marketing a product or service? It’s because people flock to the social media site to interact with others and read updates. If you’ve yet to turn to Facebook for your online promotions and audience interaction, you’re losing all the opportunities to tap into a new market and the potential to let your business thrive online. That’s why, Facebook marketing is become the need of any business to promote & better growth of their business. So you can get better job opportunities in Facebook marketing. What is Facebook and it’s usage for marketing. Basics terms used in Facebook marketing. Facebook Profile, Pages, Group and Apps. Facebook likes, comments, sharing and it’s effect on SEO. Facebook Page basics, profiles, timeline and content guideline. Post content strategy with, content, images, video, length, timing and frequency. Optimal Content writing guideline for more benefit in organic search. Setup your business goals with FB Marketing strategy. Know the engagement performance, Page like and post reach. Compare your last and current activity and optimization. Overview of Insight and publishing tool. Check Positive and negative response of users with publishing content. Conducting competitors engagement and page likes. Introducing all type of targeting through FB ads like, Website visitor, Post engagement, page likes and more. How to setup audience targeting, exact beneficial for your business requirements. Setup bid amount and estimate budget. Re-Targeting of Facebook ads through website data. Setup conversion tracking codes for FB ads. A/B testing of Images and content. Important metrics for measurements and improvements. How to improve profit margins with Facebook Marketing spends. Why Problab Technologies For Facebook Marketing Course in Chandigarh?